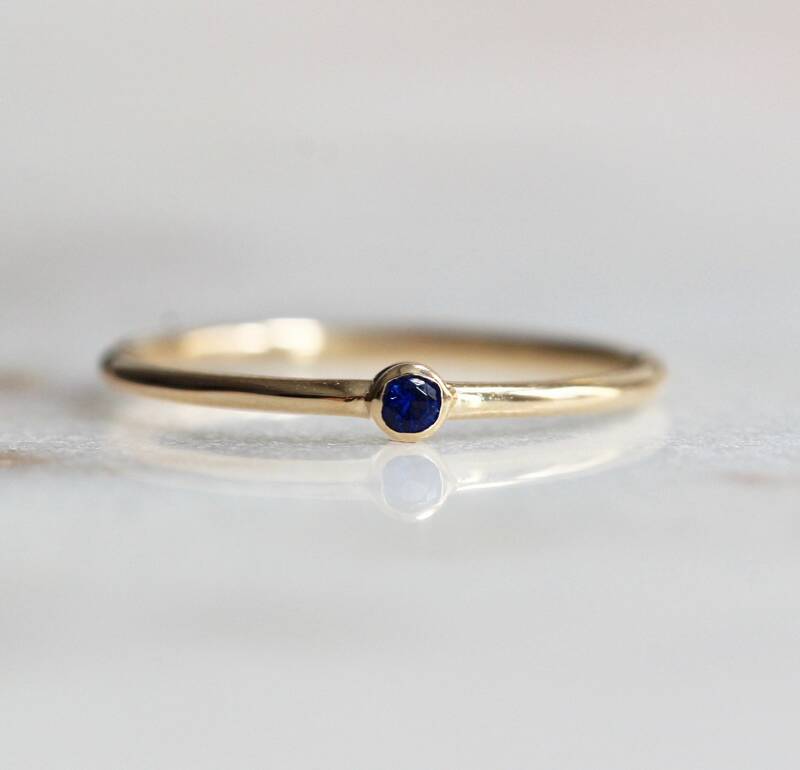 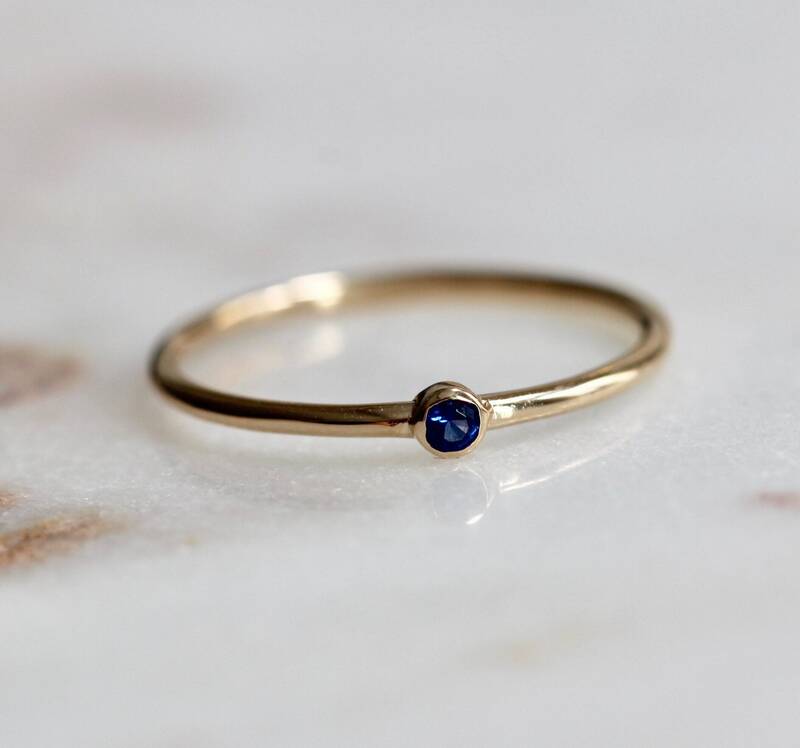 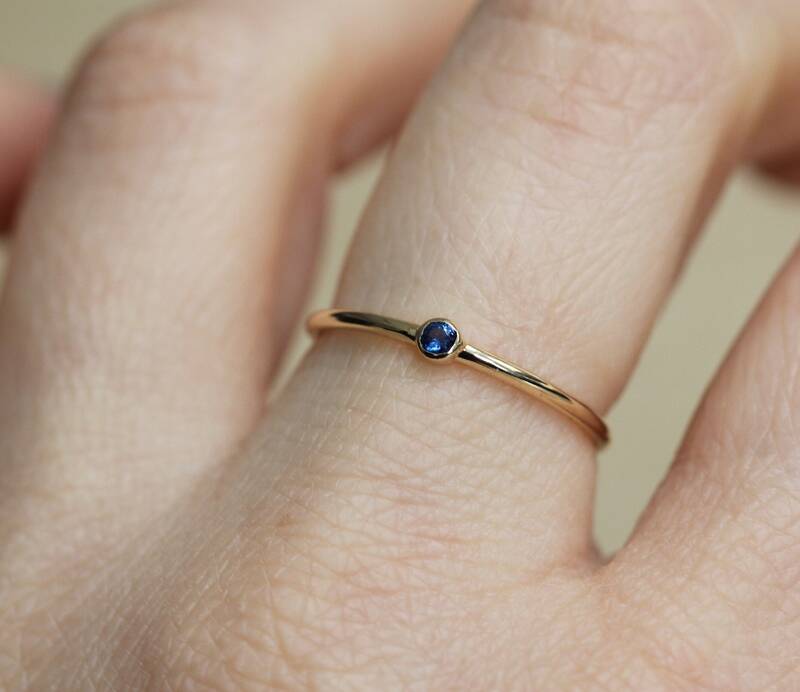 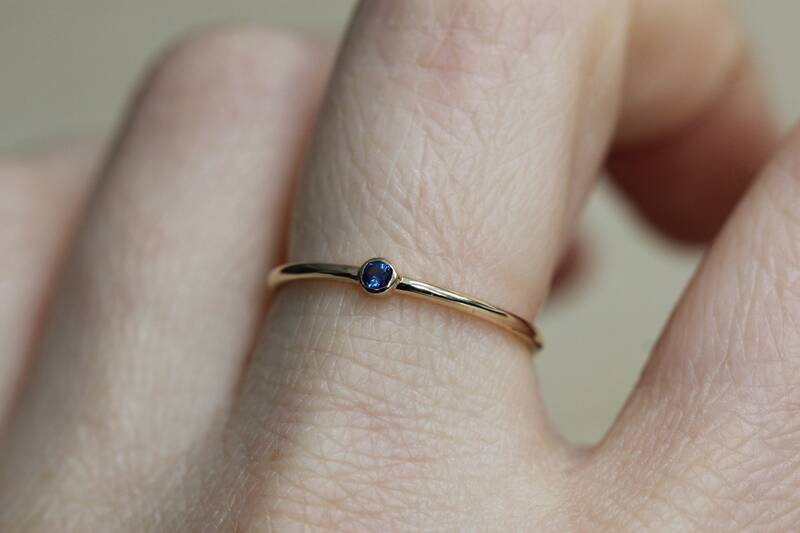 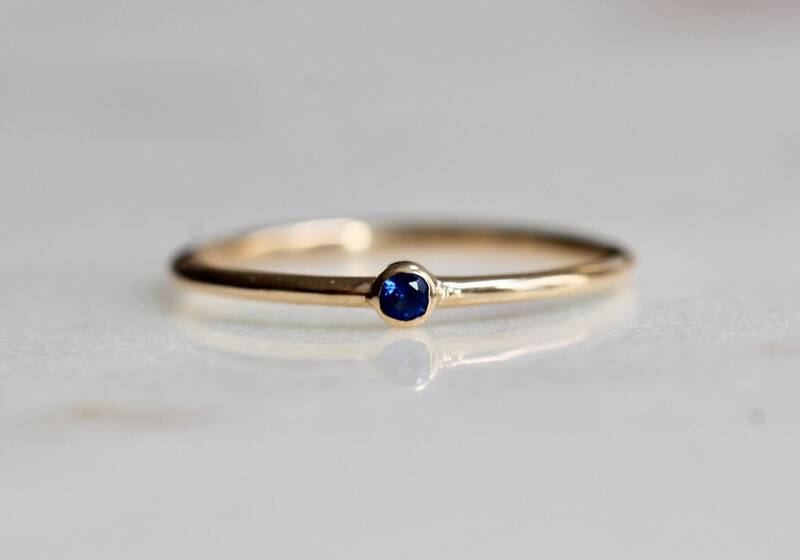 Perfect as a stacker or standing on its own, our Sapphire ring is just the cutest! 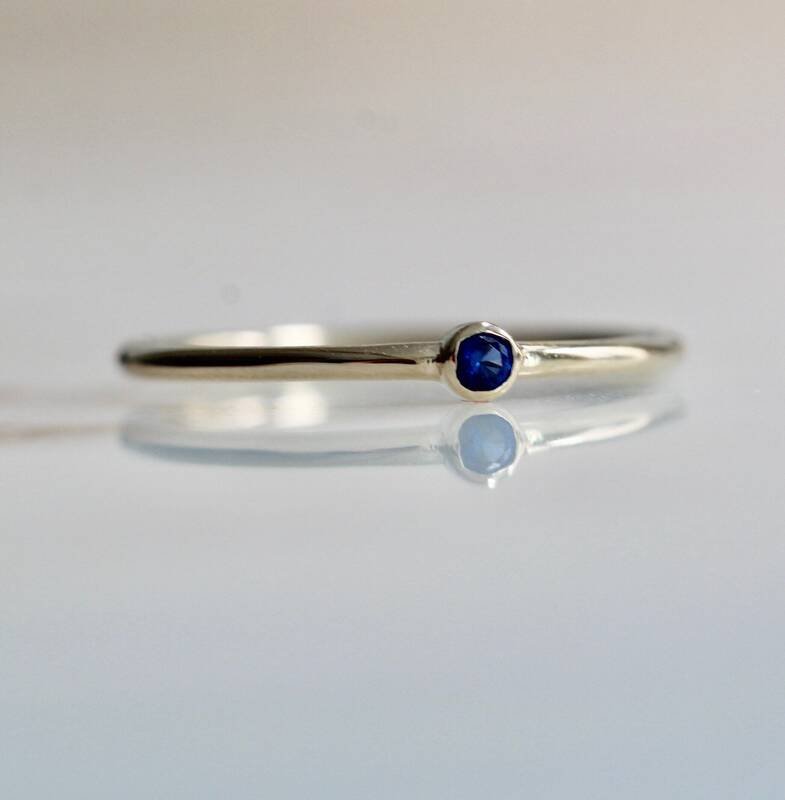 - Bezel set Blue Sapphire measures 2mm across. 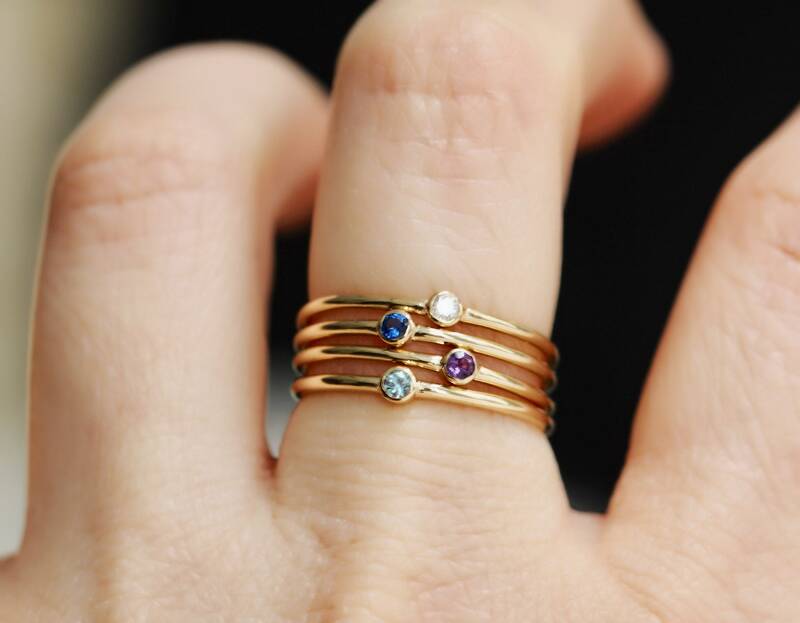 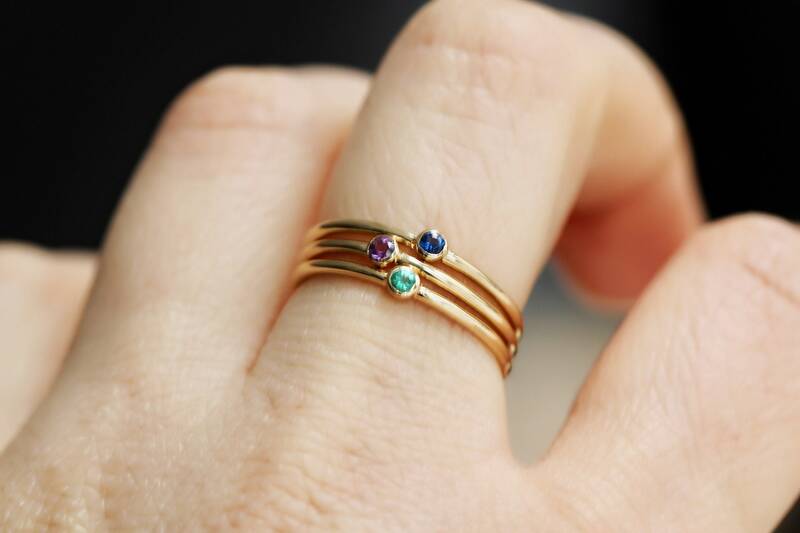 Looks great as a stacking ring, or a midi ring.